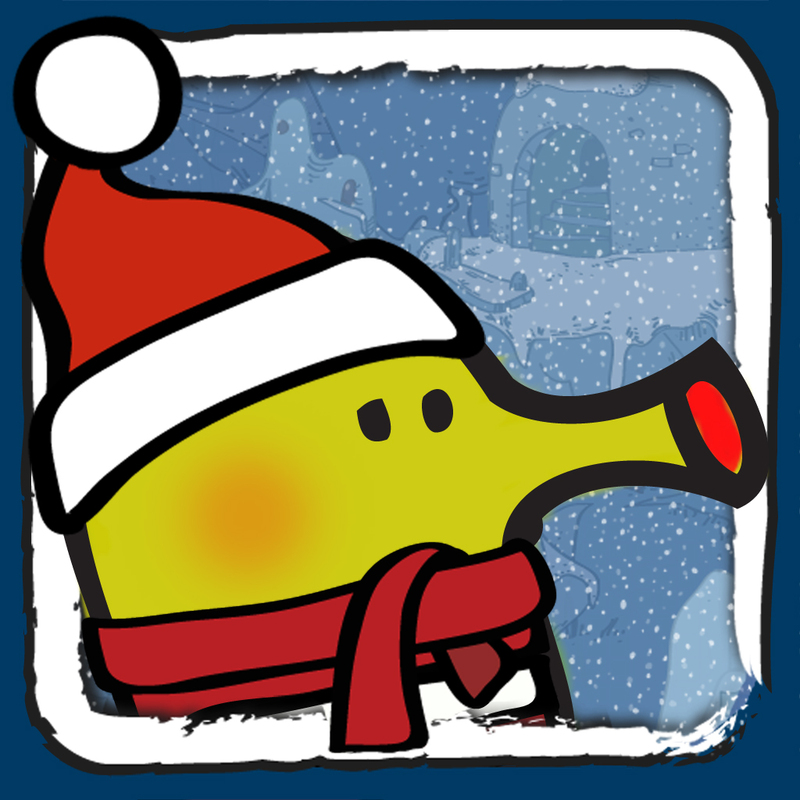 Lima Sky's Doodle Jump endless jumping game has become an iconic mobile game that it has resulted in several spinoff versions, including Doodle Jump Christmas Special and Doodle Jump Easter Special. 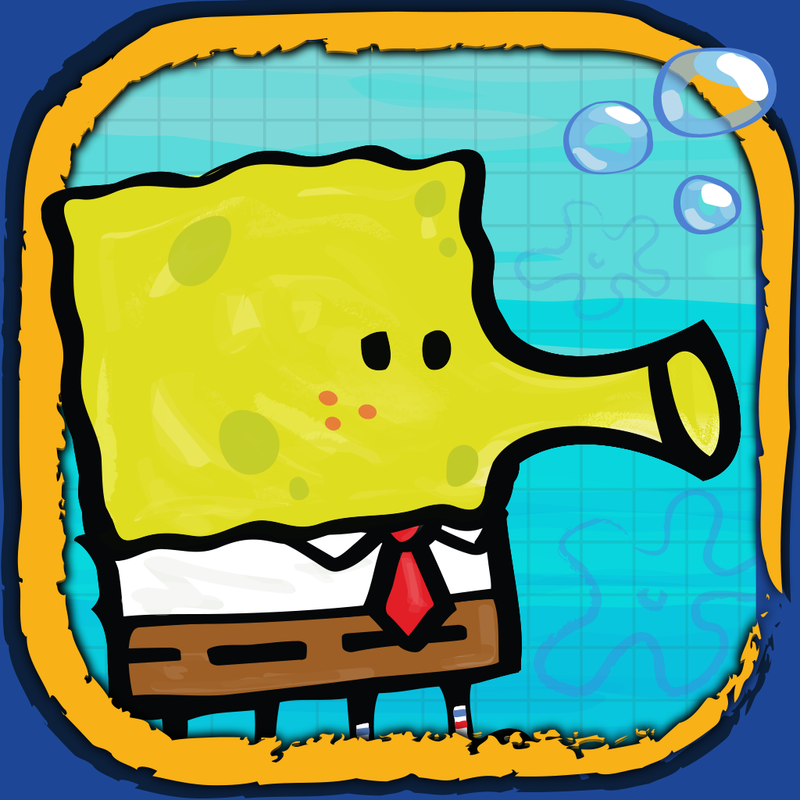 It has also led to a tie-up with Nickelodeon for Doodle Jump SpongeBob SquarepPants. 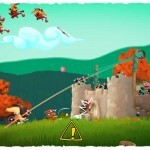 Now, Doodle Jump has made the jump to Warner Bros.' DC Super Heroes universe. The result? Doodle Jump DC Super Heroes, of course. 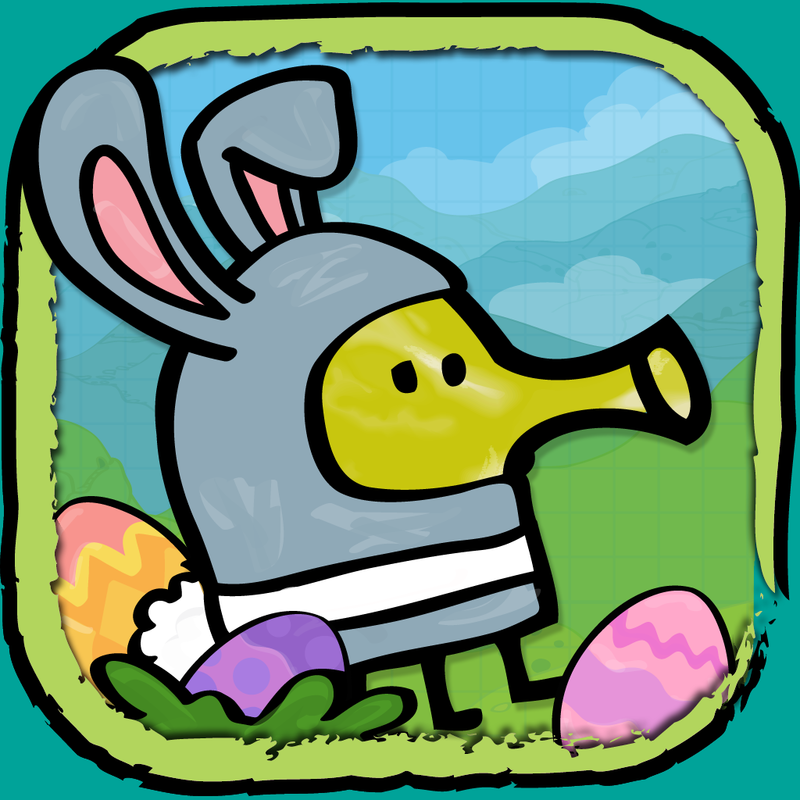 Apparently, Doodle Jump DC Super Heroes features Doodler, the doodly playable character introduced in the original game, as different DC superheroes in a series of themed episodes. 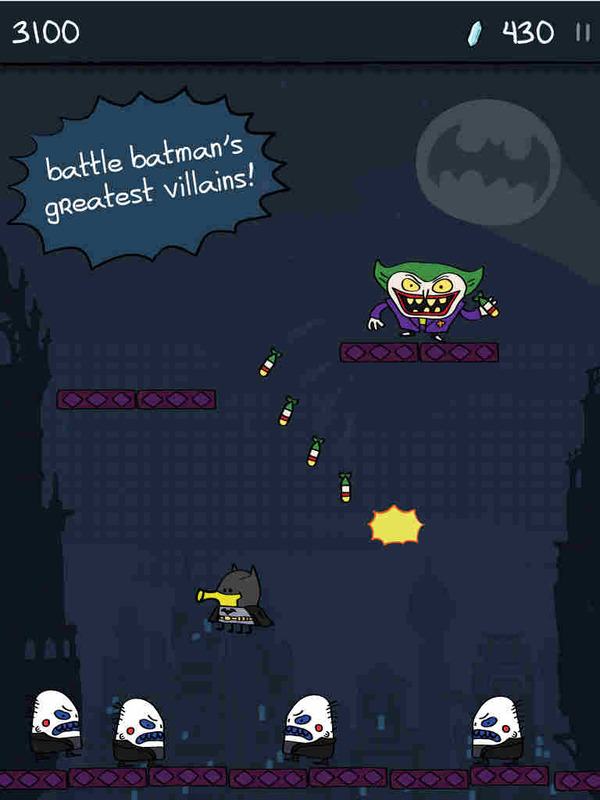 For its inaugural offering, Doodle Jump DC Super Heroes has you jumping as Batman as he fights the infamous criminals of Gotham City, including Penguin, Mr. Freeze, the Riddler, and, of course, the Joker. 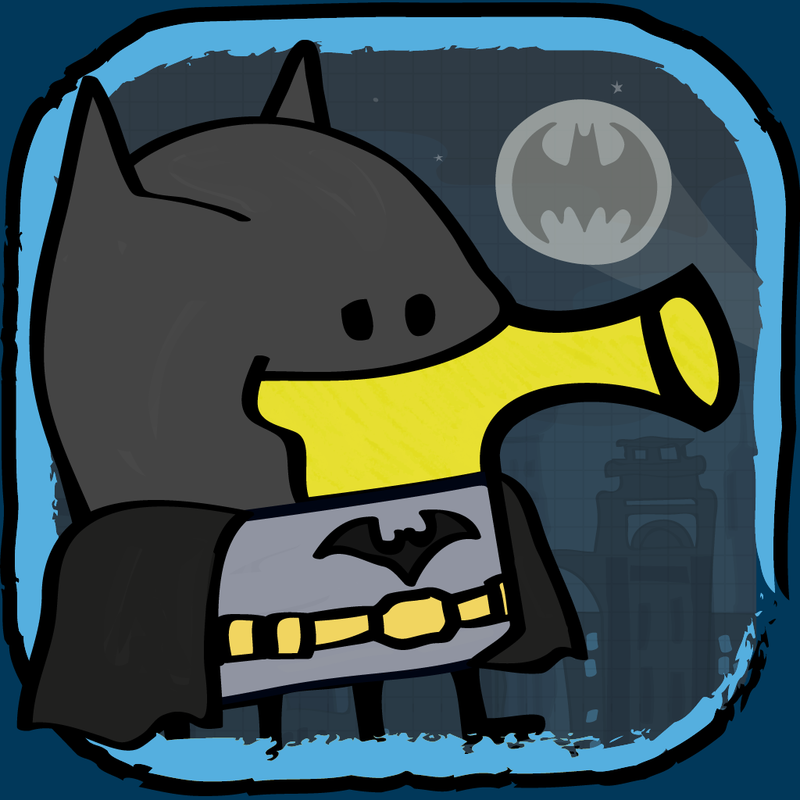 Compatible with iPhone, iPod touch, and iPad running iOS 5.0 or later, Doodle Jump DC Super Heroes is available now on the App Store for free, with in-app purchases offered for unlocking additional content. See also: Get the most retro platformer experience on iOS with 1-Bit Hero, Set sail and experience The Sailor's Dream, the new story-driven game from Simogo, and Watch everything come together in A Mechanical Story, a charming puzzle game.